For this project we set-up and installed iPad's next to 10 Map Coffee machines at the ANZ office in Melbourne. 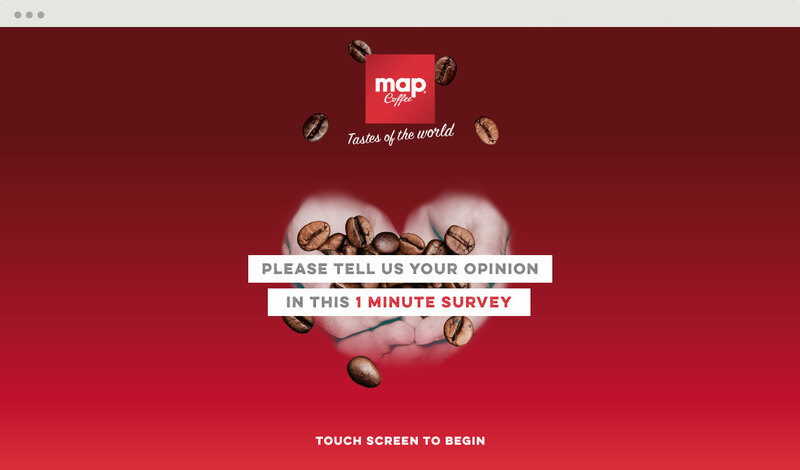 The goal was to capture real-time feedback on trial coffee flavours in the office, which we could then report back to both Map Coffee and ANZ. 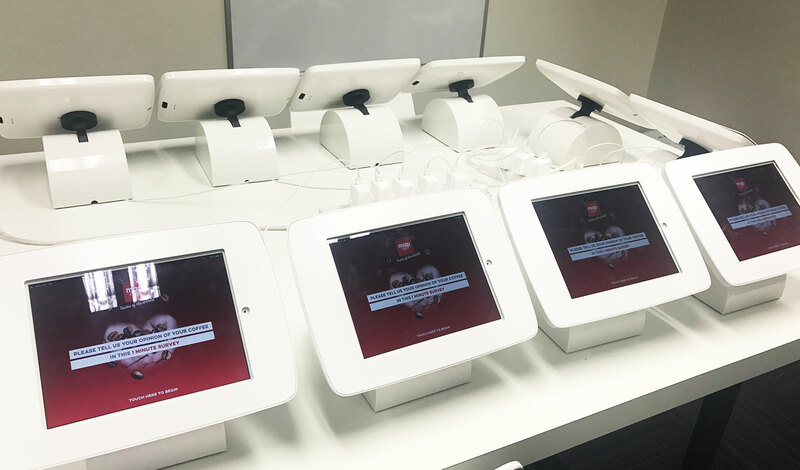 This project involved the development of the survey software which was featured on the iPads, configuring the iPads to ensure only the survey could be used by ANZ staff (no other iPad features), and setting up the iPad stands. 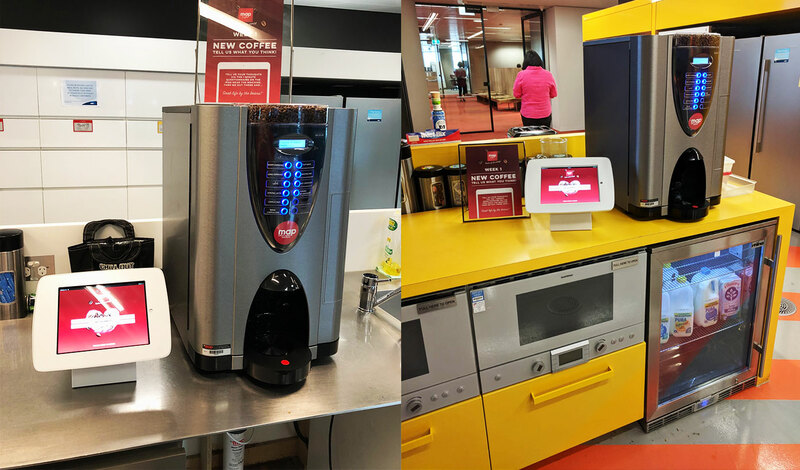 As the project was launched and we started gathering data, it became apparent that we could use the information being collected to send real-time notifications to the operations teams when a machine ran out of the coffee beans. 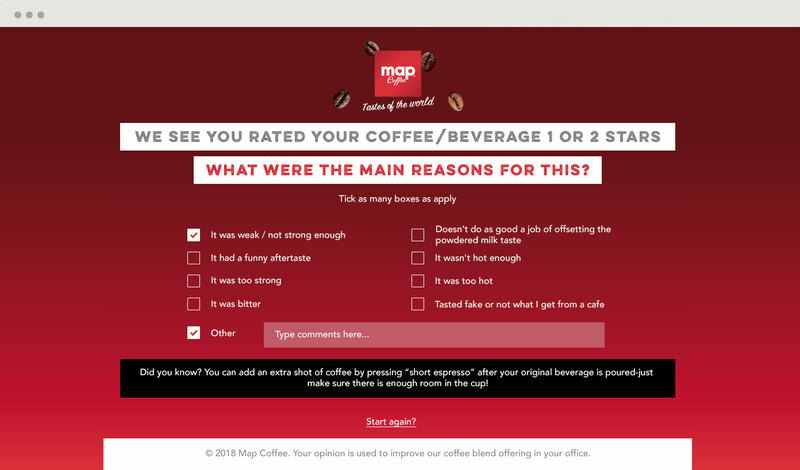 These development changes were made remotely and allowed Map Coffee to provide a better service to their business customers.